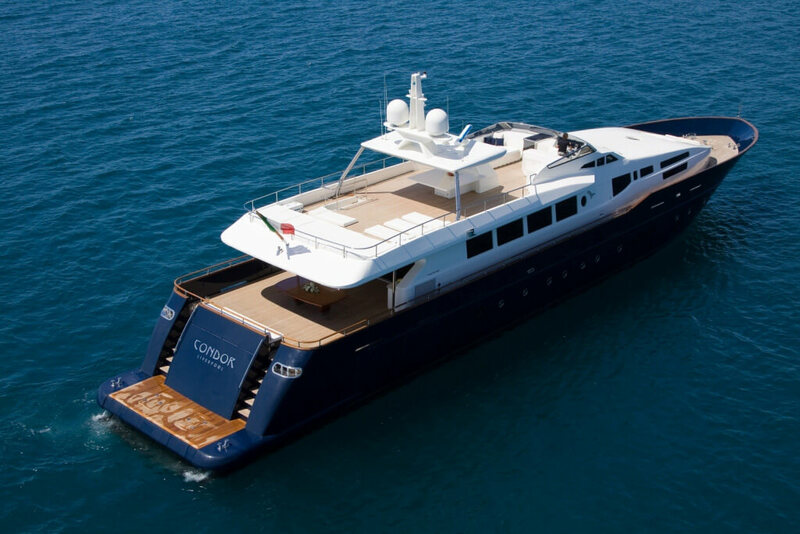 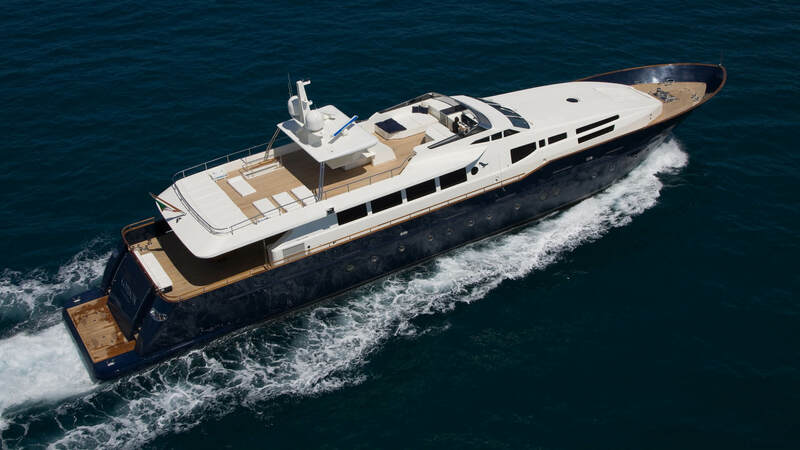 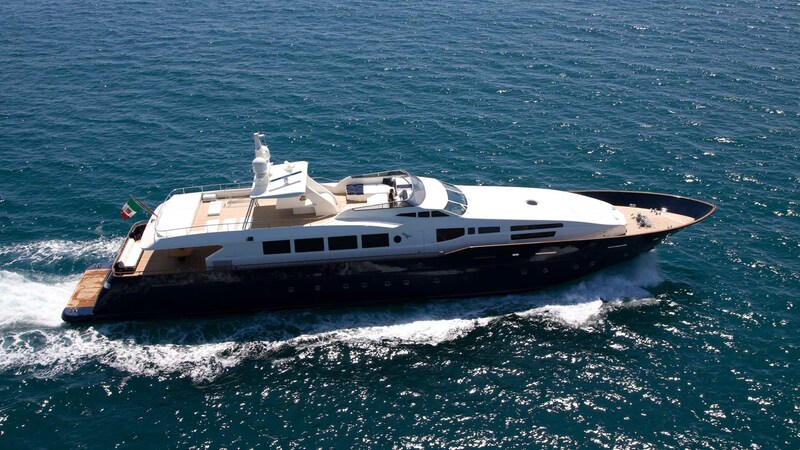 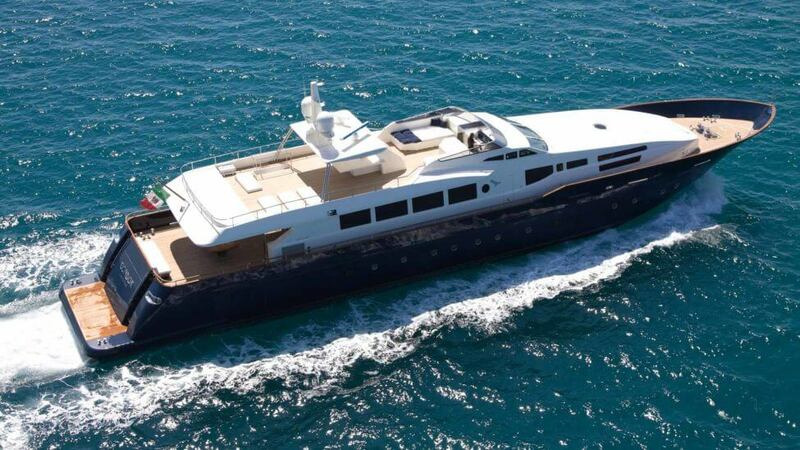 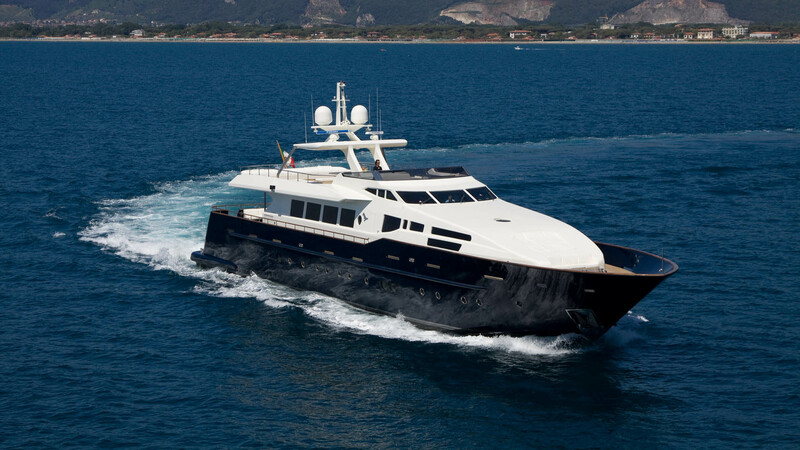 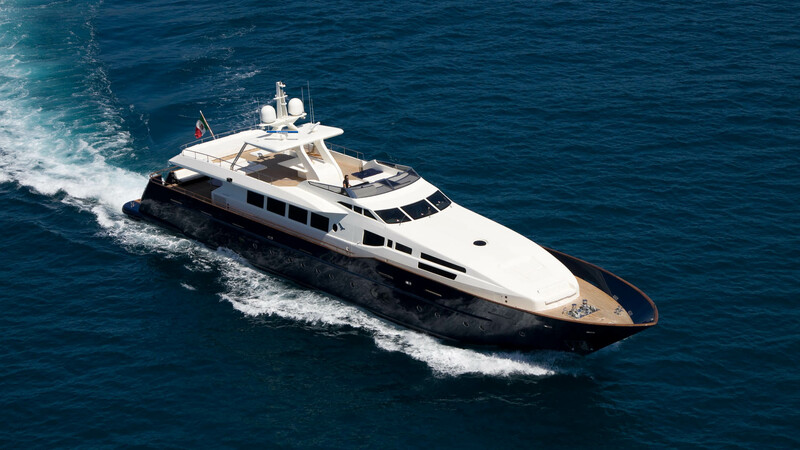 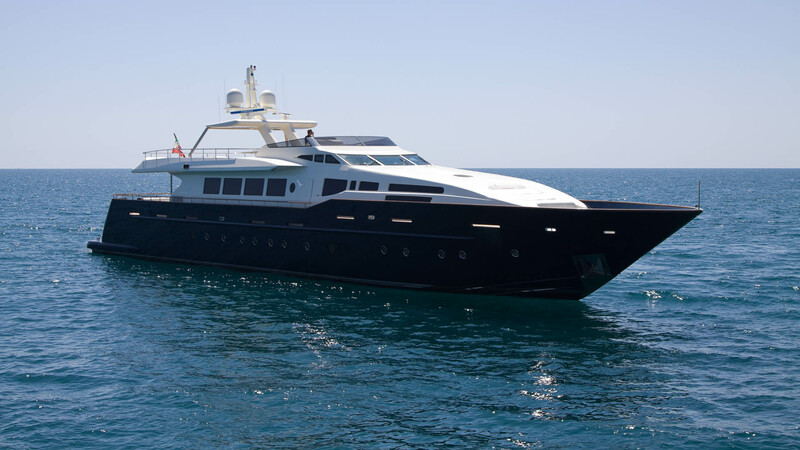 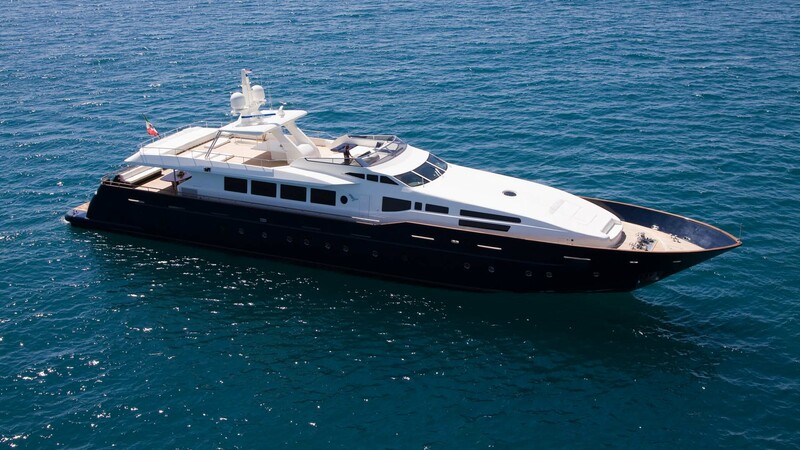 With its 41 meters in length, Condor is a motor yacht line planing Velvet that can reach a maximum speed of 28 knots. 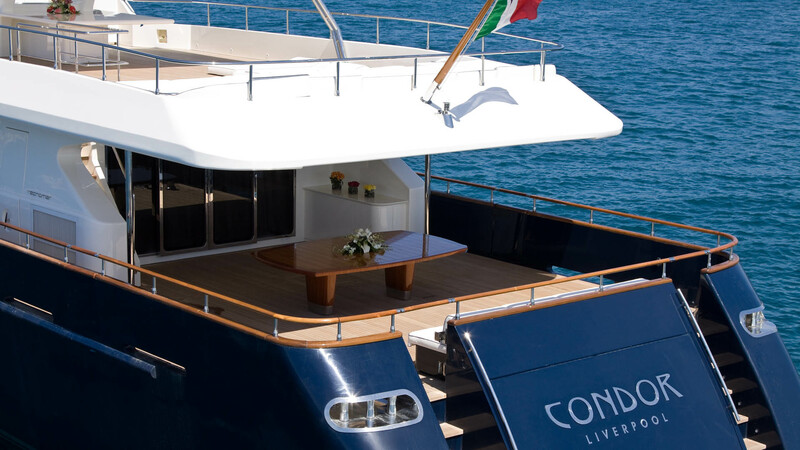 Designed to provide maximum comfort and widest liveability on board, the Condor is characterized by its technical and stylistic solutions. Thanks to the graft of the hull tapered on a lightweight superstructure, the design of this yacht is unique. 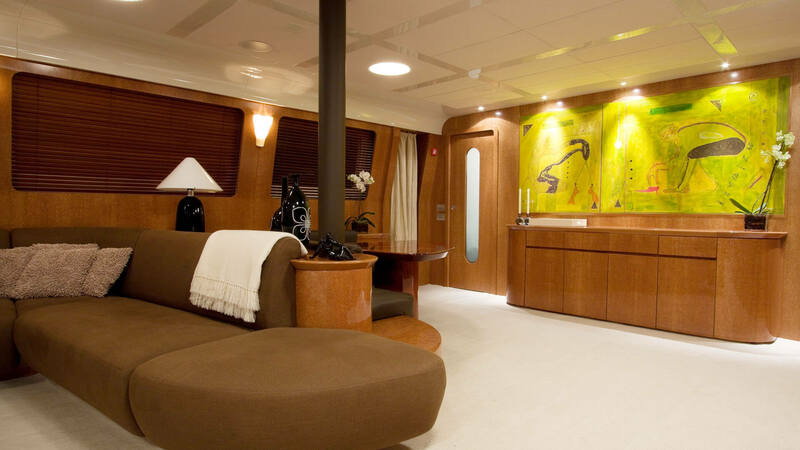 The fly bridge that extends for more than half of the boat is made of aluminum and for relaxation and sunbathing ideal is the upper deck with its chaise longue of pure white color. 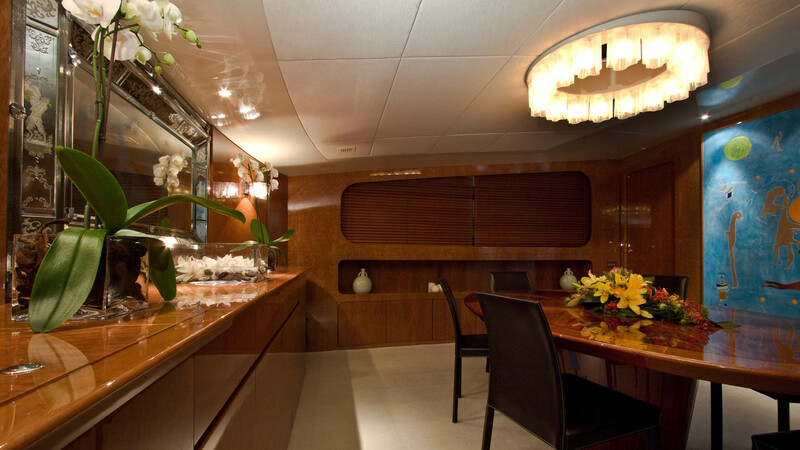 On the main deck there are, however, an elegant teak dining table and chairs, perfect for moments of conviviality. 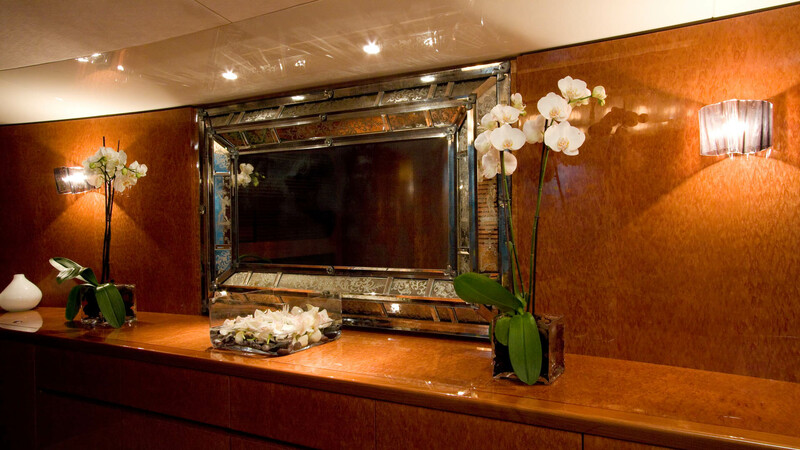 The harmonious proportions, elegance and authentic luxury strike you even in the inner area where there are new forms of expression realized thanks to the attention to the interior design and the type of materials used. 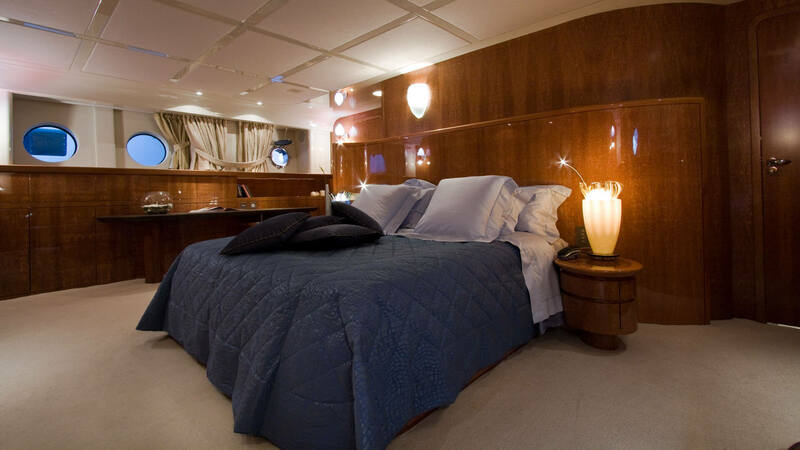 Rounded windows, furniture embellished by the glossy finish of eucalyptus wood, quality leather and fabrics confer wide sleeping area a charming and prestigious. 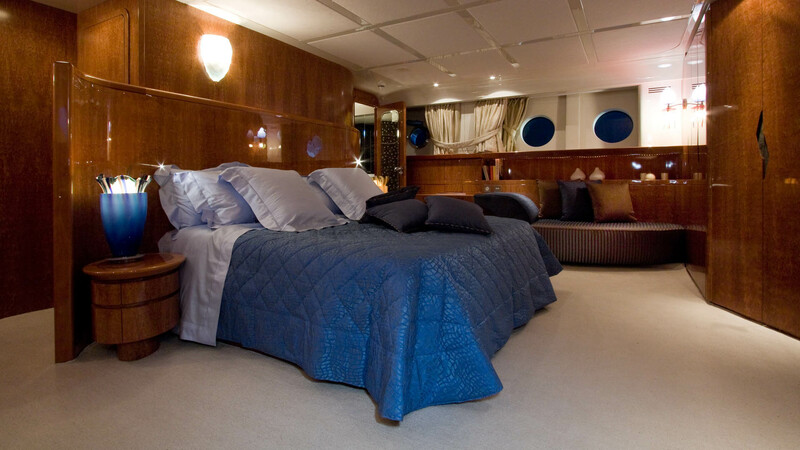 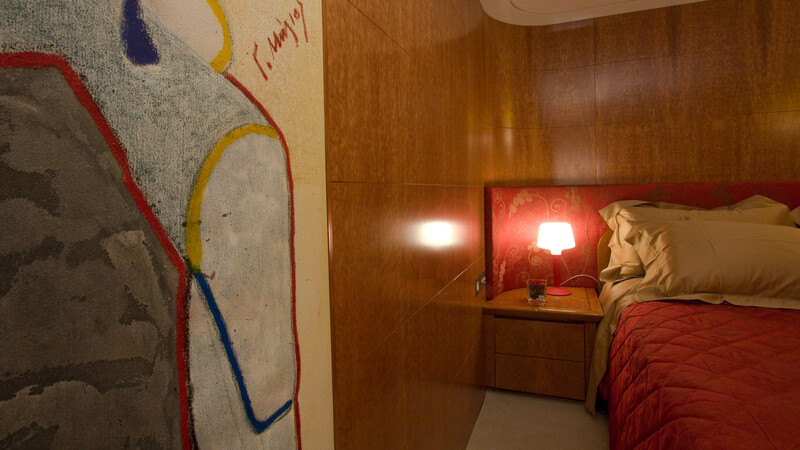 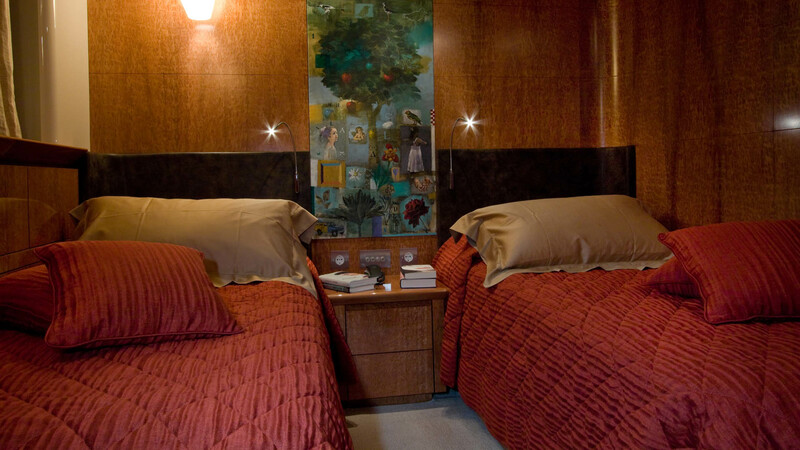 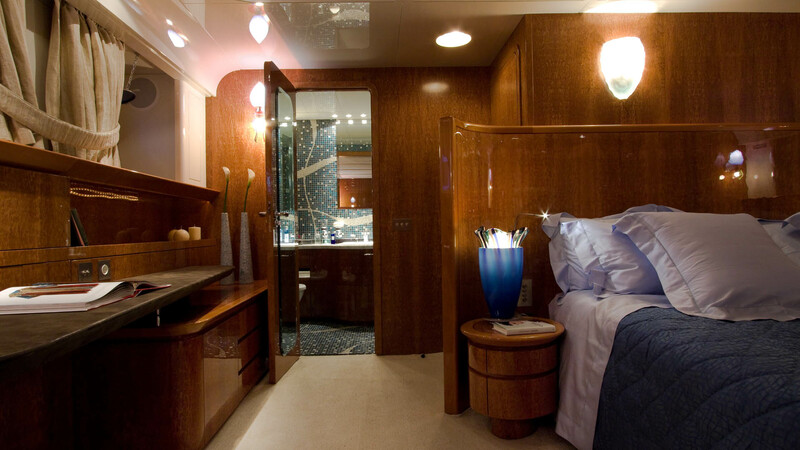 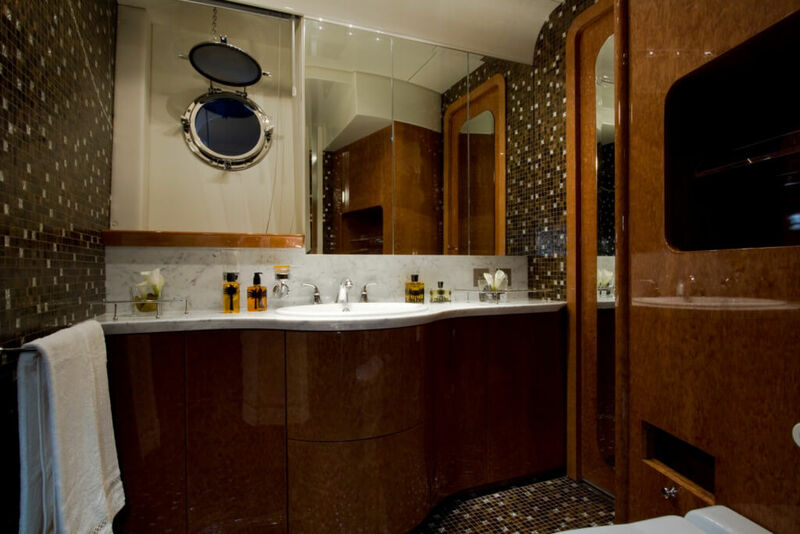 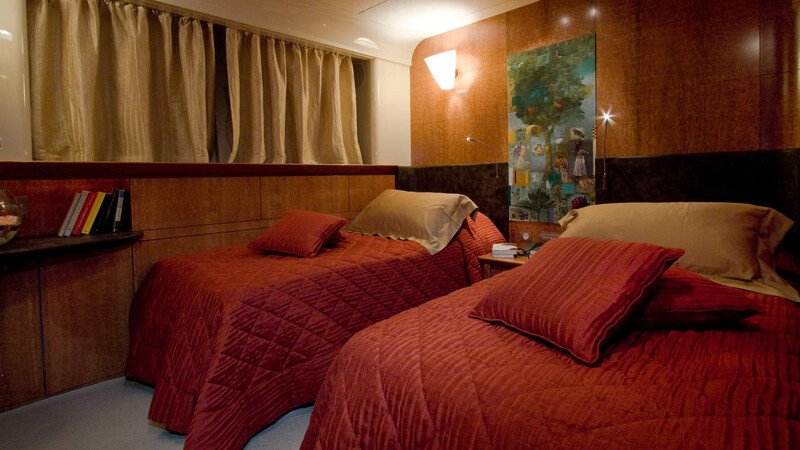 The sumptuous bedroom cabins that can accommodate up to 10 guests and the impressive full-beam master cabin are located aft.